Ever feel like there is a battle between your head and your heart sometimes? 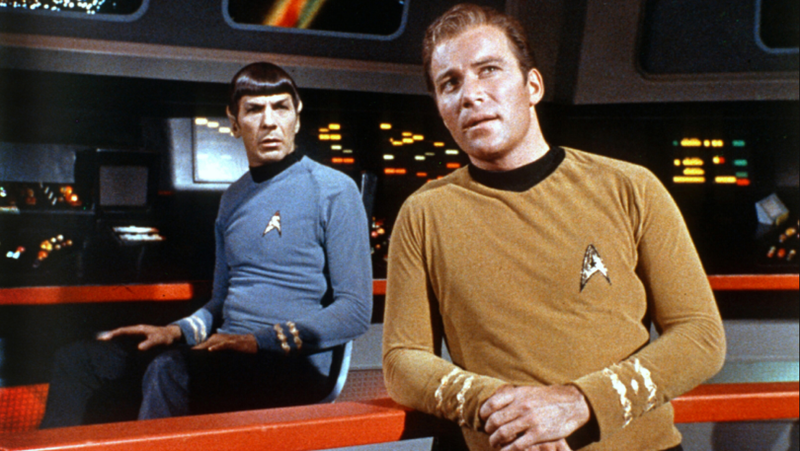 Sometimes you’re like Mr. Spock thinking logically and sometimes you’re Captain Kirk; impulsive and full of emotions. Of course, we need both, but when it comes to vision which one should lead? Your head or your heart? What is birthed in your heart cannot live in your head. What I mean is that your dreams, vision and hope for the future are birthed in your heart, and often seem impossible or even crazy when your head gets ahold of it. Vision is supposed to be big, it should move us in an emotional way, through the difficult challenges that may come against us as we try to bring it to life. Often times you’ll hear people say, “If I knew in the beginning it would be this tough, I would have never started.” Thank goodness sometimes we’re like Captain Kirk - impulsive and driven by emotions when following our dreams. If we waited to figure it all out, we would never start. Our head (brains) are wired for protection and problem solving. When we have a new idea our head goes into action trying to find a way to tackle the problem. If the problem is too big, or dangerous (to our life or our ego) then our head goes into protection mode and works hard to find ways to shut down the idea…for our ‘protection’. As a child, Steve Harvey had a dream to be on TV, but he had a serious stuttering problem. His heart dreamed of the spotlight but his head shut it down because it wanted to protect him from shame, failure and embarrassment. If he had let his dream live up in his head he would have come to the conclusion it was impossible or even ‘dangerous’ for him to pursue his vision. Here is an excerpt from a graduation speech he gave where he shared his story of his childhood and then being homeless for 3 years before he started to make it big in entertainment. How many times have you let a dream live in your head? I’ve had lots of dreams, visions, and ideas. I have notebooks full of the next 'big thing'. My heart has no issue creating amazing ideas that could change the world. My problem is that I give them over to my head to try to figure the whole thing out before I get started. Because, it’s crazy to get started on something when you don’t have a clear path of success, right? Our head and heart have to work together. If all we do is dream then we’ll never take our first step. We can talk all we want about what we hope will happen, but it’s those that actually start that bring their vision to life. The trick is not to let our head take over. The dream has to remain in your heart and not live in your head. Give your head a few things at a time to work out…but don’t get overwhelmed with the whole picture. We never know how our life might change, who we’ll meet along the way or what resources or lucky breaks well get. Most of us would never have imagined we’d be where we are today, so why get so caught up in figuring out every detail?